BeautyMNL is the No. 1 homegrown site in the Philippines, with 900+ brands and 30,000+ products for you to browse and shop. 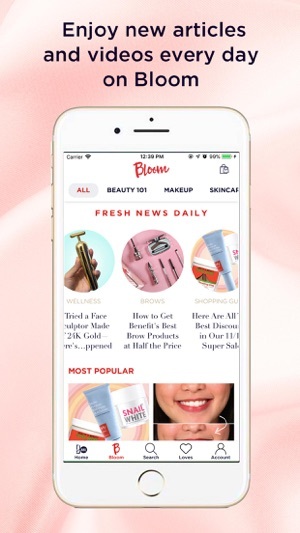 Our vast Beauty category offers the most wanted skincare, makeup, K-beauty, hair care, nail products, scents, and tools in the country. Whatever beauty product you’re looking for, we carry it—or at the very least, something just like it. 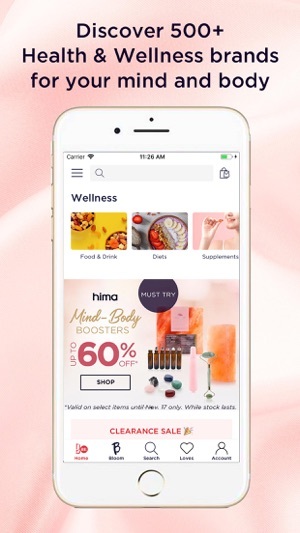 Because we believe in looking AND feeling good, our Health & Wellness category provides healthy food and delicious snacks, nourishing vitamins and supplements, self-care essentials like crystal rollers and salt lamps, and everything else you need to boost your well-being. Likewise, our Fitness category will set you up with the tools you need to get in tiptop shape. 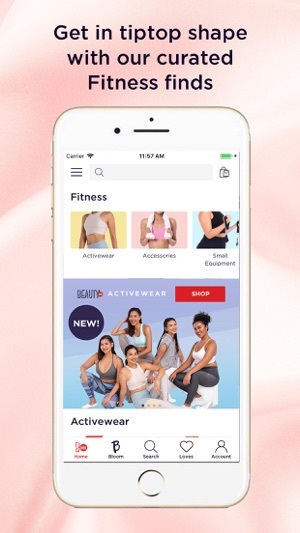 Prepare yourself for the fit life with our curated selection of activewear, small equipment, workout accessories, and sports nutrition. This just in: Fashion is now available on BeautyMNL! Our latest category brings you stylish clothes and accessories that are EXCLUSIVE to our site (and that we know you will love). 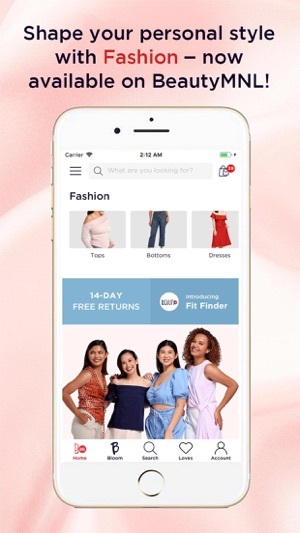 Use our Fit Finder to get accurate size recommendations; filter our assortment by size, body shape, or occasion; then discover cool pieces that actually fit. Because when you feel beautiful, you’ll want to dress to match. Read all about it in our in-house magazine Bloom (updated daily! ), as well as our Reviews section, which hosts approximately 200,000 customer-generated reviews. 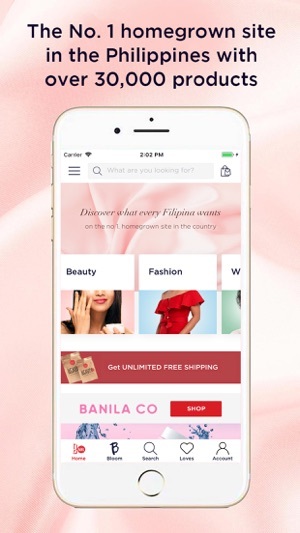 With the BeautyMNL app, you'll get your hands on the best in beauty, wellness, fashion, and fitness—even on the go! 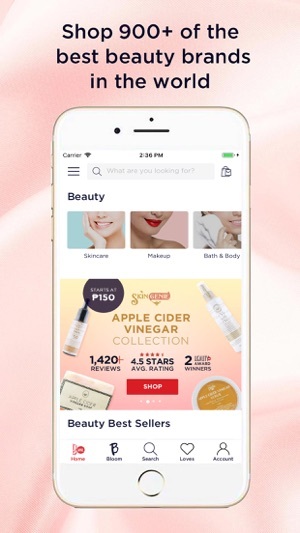 • Plus mobile access to your BeautyMNL account with the tap of a finger! *Next-day delivery applies to Metro Manila orders ONLY (does not include Saturday and Sunday). Nationwide orders will arrive within 5 to 7 business days (does not include Saturday and Sunday). Fashion is now available on BeautyMNL! Shop our curated assortment of apparel and accessories, all EXCLUSIVE to our site. 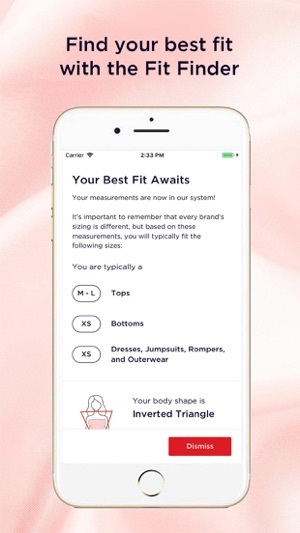 Stop second-guessing your size by using our Fit Finder, and get quick recommendations based on your body shape and personal measurements. Now you can find cool clothes that actually fit! Fresh drops every week. I’m confused how people have given this a 1-star rating saying that this is a scam. I’ve ordered from BeautyMNL about 4 times now (approx. 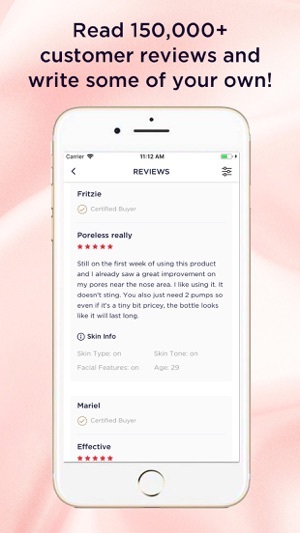 10k in total) and each experience was absolutely pleasant; this site is the best I’ve tried, it has surpassed my expectations by a large margin, and this is coming from a very impulsive buyer who constantly orders from Sephora, Ebay, Freyja, Shopee, everything. My orders were always shipped the same day I ordered and were delivered the next day. Imagine my surprise when I ordered around midnight, and my order literally arrived when I woke up at 9am in the morning. I am so impressed, honestly the only reason I still order from other sites is that BeautyMNL has out of stock items that I love (e.g. Too Faced, Laura Mercier, ABH, Kylie Cosmetics), otherwise, this is my absolute favorite for quick, hassle-free, trustworthy shopping. Seriously, keep up the great work guys! You are legitimately a holy grail for me. SCAM!!!!! At your first order they will be very eager to deliver the items on time!!! This is my 3rd time to order! My 3rd time! And this is the first time that I think I will be scammed! I tried reaching out through emails but no response other than automated messages!!!! My order was placed a week ago and it is already paid and until now I have not received it yet!!! Paid worth 2689 pesos!!!! Last night I tried to place an order this time it will be for a Cash on Delivery payment and surprisingly it will be delivered today!!! But what happened to my previous order that is already paid and still not being delivered!!!!!! I tried to reach you through emails and even at your instagram and facebook account but it seems like you are ignoring me!!!!! I tried to be patient and understanding but this is really mad!! You guys are so inconvenient!!! I ordered for convenience but really it is the other way around!!!!!!!!! I do not want to think that you are trying to scam me but since there is no response or updates I guess you are really a SCAM!!!!!!!!!!! Hi Alynacheska! We're so sorry to hear this! :( We hope it's alright if you can share your Order Number with us through Facebook Messenger. We're deeply sorry if it looks like we're avoiding you. 😔 We miss on some messages and emails and it's no excuse. We apologise for the worry and inconvenience we've caused, Alynacheska. We're waiting for your message and we're looking determined to resolve this for you the soonest. Hi I am a frequent buyer, and I see there are a lot of complaints about B1T1 promo. I think this promo should not be included with the regular freebie types where free samples are provided because users are specifically buying it for the Take 1 takeaway. There is a certain expectation to get that Take 1 when the customer orders. Your warning does not say if the B1T1 ran out of supplies and how many of the sets ran out of it. If I bought 5 sets of B1T1 along with other products with sample freebies, your warning just says some of the freebies have ran out, so it is not helpful to the customer. Please remove the B1T1 tag especially during holiday promos if your supplies run out so customers do not get the idea of being deceived if you cannot improve your warning message. I for one avoid this promo due to the number of complaints I’ve read about it everywhere. © Taste Central Curators Inc.